Most people pop aspirin and other over-the-counter pain relievers without a second thought. But mounting evidence suggests that there should be cause for concern. 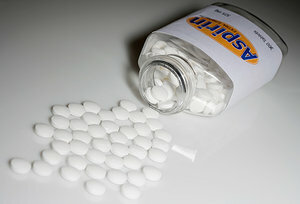 In a recent study, researchers found that "NSAID (aspirin, ibuprofen, Advil, Motrin, etc.) use was associated with an increased risk of death or myocardial infarction (heart attack) by up to 5 times that of non-users, according to the Nordic Association for the Publication of BCPT. There was also a clear indication for a dose-related response in risk associated with NSAID therapy, supporting a causal association. Notably, the cardiovascular risk associated with NSAID treatment was prevalent at start of treatment, suggesting no safe treatment window for NSAIDs in patients with cardiovascular disease. Thus, evidence from observational studies is accumulating, suggesting that "NSAIDs are a major public health concern due to the widespread use of these drugs." Make sure to talk to your doctor about the use of over-the-counter pain relievers and whether they are right for you. You should always be aware of the side effects of drugs even if they are sold over-the-counter and seem relatively safe. When it comes to your health, there is no better way to take control and create positive outcomes than by focusing on diet and lifestyle. When you make time for stress reduction, keep to their exercise regimen and eat well, you have less pain, better energy and deeper satisfaction with your life. As a naturopathic physician, diet is an integral part of every treatment plan I create. Whether a patient comes in for aches and pains, hormone imbalance, depression or elevated cholesterol, proper nutrition is essential to helping them reach their unique health goals. While there are many "superfoods" available to us, I find that there are five food groups I repeatedly recommend for their stellar nutritional performance. Be sure you (and your family) eat plenty of these foods to feel great today and reduce the risk for chronic disease tomorrow. 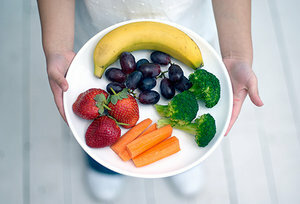 Eating a diet rich in fruits and vegetables is your best bet for reducing your risk for virtually every chronic disease. In addition to the vitamins and minerals in these foods that provide nutritional support for optimal function, research has shown they also contain phytochemicals that include pigments such as carotenes, chlorophyll and flavonoids, which have potent health effects including protection against cancer. By filling your plate with a variety of colors, you'll be giving your body the full spectrum of pigments, each with their own powerful antioxidant effects and health benefits. Some highlights worth mentioning are sweet potatoes, berries and dark-green leafy vegetables. Sweet potatoes are very high in vitamin C and beta-carotene, a safe-to-consume version of vitamin A. Higher dietary intake of carotenes have been shown to reduce the risk for certain cancers, heart disease and eye issues. Unlike many other starchy vegetables, sweet potatoes have actually been shown to help stabilize blood sugar and are, therefore, a delicious treat for those trying to control diabetes or lose weight. The reds, blues and purples of berries indicate their high flavonoid content. In addition to their potent antioxidant effects, flavonoids have impressive anti-inflammatory, anti-allergic, antiviral and anticancer properties. Berries are a great way to make your morning smoothie delicious (try adding organic frozen berries) and, like sweet potatoes, are a healthy sweet for those watching their blood sugar. Dark-green leafy vegetables are a great source of calcium, in addition to containing both carotenes and flavonoids. Many of these – kale, collards, broccoli, Brussels sprouts, mustard greens – are also part of the cruciferous vegetable family. These foods are worth special mention because they have more phytochemicals with demonstrated anticancer effect than any other food family. Preliminary studies suggest the average person would need to eat about 2 pounds of broccoli (or other cruciferous veggies) per week to see significant cancer risk reduction. Since the cancer-fighting compounds are more concentrated in the less-mature plants, the same reduction in risk theoretically might be seen with just a little over an ounce of broccoli sprouts each week. Look for them at the farmer's market or next to the alfalfa sprouts at your local health food store. Cruciferous vegetables are also formidable antioxidants that improve the body's ability to detoxify, support estrogen metabolism and help eliminate toxins. Fish contain long-chain omega-3 fats (EPA and DHA). These essential fats must be taken in from our food, as we don't make them ourselves. As it turns out, these omega-3s are incredibly important for every aspect of our health, especially when it comes to decreasing chronic inflammation in the body and therefore, reducing our risk for chronic diseases like heart disease, diabetes and cancer – the top three killers in the U.S. Omega-3s have also been shown to support mood and memory, reduce allergies and decrease pain. When I was in medical school, I was taught that omega-3s could be supplemented as fish or flax (walnuts, hemp, chia, etc.). Research in the past 15 years, however, has shown that we don't reliably convert the short-chain omega-3 fats found in plant sources to the long-chain EPA and DHA that have been so well-studied for their health benefits. To get a reliable source of EPA and DHA, you need to eat fish or take a pharmaceutical-grade fish or algae oil supplement. 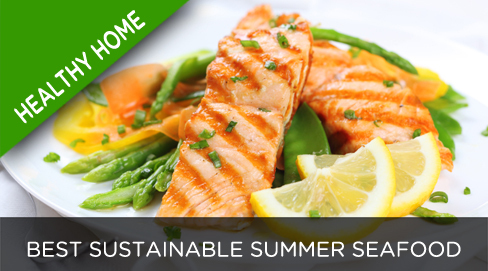 In addition to the omega-3s, fish is an excellent source of protein and dense nutrition including the minerals iodine and selenium. Wild Alaskan salmon, sardines, anchovies, herring, mackerel and Arctic cod are among the fish that pack the best omega-3 punch. Most people need at least one serving of fish daily to balance their omega-6 fat intake (another essential fat with equally important, but pro-inflammatory effects that is found in meat, dairy and vegetable oils); and frankly, many people require more. In this case, supplementation is often necessary. I generally recommend 1,200 mg to 1,500 mg combined EPA+DHA daily, although I often dose higher amounts based on the person's diet and general health issues. These foods provide live CFUs (colony-forming units) for the gut. These beneficial bacteria help prevent bacterial and yeast overgrowth, support digestion of fiber, promote bowel regularity and enhance immune function. Recent research even suggests balanced gut flora positively impacts mood. You can consider taking a probiotic supplement, but eating fermented foods like yogurt (look for those containing live cultures), sauerkraut, kimchee, miso, tempeh and kombucha can also add a delicious twist to your diet while promoting optimal health. Do you know that we don't make a single mineral in our bodies? That means we have to get them from our food. Sea vegetables or seaweed have many times more mineral content than land vegetables, offering the broadest range of minerals of any food. They also contain lignans that have anticancer and hormone-balancing properties and fucans, which can reduce the body's inflammatory response. Easy ways to get sea vegetables include eating sushi or buying nori sheets and eating them as snacks or as a "tortilla" to wrap hummus, black bean dip and/or cut veggies. You can also cook beans, soups and stews with kombu and then discard it when done. The minerals will get infused into the food (which will also make beans, etc., easier to digest). And you can use kelp flakes as a condiment to sprinkle on your food instead of salt. Cooking with spices to improve the taste of your food can also provide potent health benefits. Cayenne is an effective pain reliever, helps digestion and supports a healthy heart. Cinnamon has been shown to help reduce fasting blood sugar, triglycerides and cholesterol. Ginger is a powerful digestive aid and a potent anti-inflammatory. It has also been shown to decrease nausea and alleviate menstrual cramps. Turmeric packs a hefty antioxidant punch and has been shown in many studies to reduce inflammation. It holds promise for both the prevention and treatment of various cancers, as well as in the prevention of heart disease and as a brain-protective agent. And of course, don't forget garlic and onions, which reduce inflammation, support heart health and promote healthy detoxification. AimÃ©e Gould Shunney, ND, is a naturopathic physician in private practice in Santa Cruz and Campbell, Calif., where she specializes in womenâï¿½ï¿½s health, functional endocrinology and family medicine. She is also the co-host of âï¿½ï¿½Green Tea & Honey,âï¿½ï¿½ a podcast about integrative medicine, delicious food and the joys of eating; co-creator of Cleanse Organic, a 28-day, fully supported whole-foods cleansing program; and serves on the advisory board for Nordic Naturals. A few days beÂ­fore the race, I saw Rob in my office; when I checked his hamstring flexibility, I was shocked to see he could barely raise each leg 30 degrees off the table (even tight runners can raise their legs 60 degrees). Having never seen hamstrings that tight, I asked Rob if he ever stretched. He responded: "When I run, that's as far as my legs go forward, so that's as far as I want them to go forward." Years later, research appeared suggesting tight runners were metabolically more efficient than flexible runners. This is what DeCastella intuitively knew: Tight muscles can store and return energy in the form of elastic recoil, just like a rubber band can stretch and snap back with no effort. Because tight muscles provide free energy (i.e., the muscle fibers are not shortÂ­ening to produce force, so there is no metabolic expense), stiff muscles can significantly imÂ­prove efficiency when running long distances. To understand why muscles are able to store and return energy, just take a look at how muscles are made. To protect individual muscle fibers from developing too much tension, and to assist in the storage and return of energy, muscle fibers and fibrils are surrounded with perimysium and endomysium. These envelopes contain thousands of strong cross-links that traverse the entire muscle. These cross-links are essential for injury prevention beÂ­cause they distribute tension generated on one side of the tendon evenly throughout the entire muscle. If these cross-links were not present or were excessively flexible, the asymmetric tendon force would be transferred through the muscle fibers only on the side of the tendon being pulled. Because fewer muscle fibers would be tractioned, the involved fibers would be more prone to being injured because the pulling force would be distribÂ­uted over a smaller area. Because the best runners often run a significant number of miles per week with grueling track workouts, increased delayed-onset muscle soreÂ­ness would interfere with their ability to tolerate their rigorous training schedules and more than likely increase their potential for injury. To prove that tight muscles are more prone to injury, researchers from Lenox Hill Hospital in New York classified subjects as either stiff or flexÂ­ible before having them perform repeated hamstring curls to fatigue. Following the workout, the stiffer subjects complained of greater muscle pain and weakness. The enzyme marker for muscle damage (CK) was also significantly higher in the stiff group after working out. The authors of the study state that because flexible people are less susceptible to exercise-induced muscle damage, they are able to exercise at a higher intensity for a greater duration on the days following heavy workouts. The catch-22 to muscle tightness is that while a certain degree of tightness increasÂ­es the storage and return of energy, excessive tightness can increase the potential for injury, especially with hard workouts. The end result is that overly flexible runners are just as likely to be injured as stiff runÂ­ners. It turns out that if you make a graph of injuÂ­ries associated with different degrees of flexibiliÂ­ty, it forms a U-shaped curve with the tightest and the loosest runners being injured. In contrast, if you happen to fall on the tight side of the flexibility spectrum, they may consider incorporating specific stretches into your daily routine. Keep in mind that improving flexibility is not that simple. Some great research has shown that when done for just a few weeks,stretching does not alter the ability of a muscle to absorb force because the improved stretch tolerance results from changes in the nervous system that allow the muscle to temporarily lengthen, with no corresponding changes in muscle stiffness and/or work absorption. That being the case, it's not surÂ­prising that while some great research shows tight muscles are more likely to be injured,1 relatively few studies have ever shown that stretching alters your potential for injury. In order to produce real length gains, some experts suggest it is necessary to stretch regularly for four to six months. In theory, when a musÂ­cle is repeatedly stretched for several months, cellular changes take place within the muscle, allowing for a permanent increase in flexibility. Animal studies have shown that the increased flexibility associated with repeated stretching results from a lengthening of the connective tissue envelope surrounding the muscle fibers (especially the perimysium) and/or an increased number of sarcomeres being added to the ends of the muscle fibers. Although I typically suggest that stiff runners should stretch and flexible runners should strengthen, recent research suggests runners may intuitively know whether or not they should stretch. In the largest randomized control study of stretching to date, Daniel Pereles and colleagues randomly assigned 2,729 recreational runners to either a stretching or a non-stretchÂ­ing pre-run routine. Not surprisingly, there was no significant difference in injury rates between the runners who stretched versus the runners who didn't stretch. Much of the ï¬sh available today in the United States is imported, and frequently from places where health and environmental standards are weak or non-existent. Regulation of the fishing industry worldwide is poorly enforced, and less than 2 percent of seafood imports to the U.S. are inspected for contamination. There are no legal organic standards for seafood in the U.S., so ï¬sh labeled “organic” are always imported and are farmed, not wild-caught, and do not necessary adhere to U.S. standards for organic.